I follow the rants and writings of Robert Fisk. Fisk is a multiple award-winning Middle East correspondent, based in Beirut and he writes for the wonderful British paper, The Independent. Mr Fisk calls it as he sees it and he sees more than most. He is informed, thoughtful, objective and opinionated. 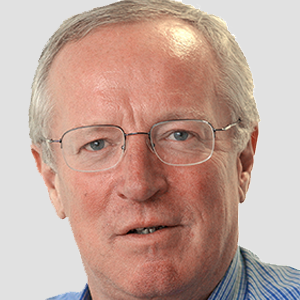 The truth matters to Robert Fisk, as it should to all of us. 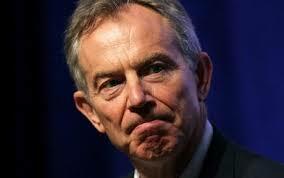 Tony Blair’s time as Middle East envoy representing the US, Russia, the UN and the EU has finally come to an end. Eight years after he took up the role, Blair tendered his resignation and left one question: how come a war criminal ever became a "peace envoy" in the first place? The people of the Middle East – and much of the world – have been asking this question ever since Blair was appointed the Quartet’s man in Jerusalem, solemnly and hopelessly tasked to bring “peace” between Israelis and Palestinians. Was his new mission supposed to wash the blood from his hands after the catastrophe of the Bush-Blair invasion of Iraq and the hundreds of thousands of innocents who died as a result? For Arabs – and for Britons who lost their loved ones in his shambolic war in Iraq – Blair’s appointment was an insult. The man who never said he was sorry for his political disaster simply turned up in Jerusalem four years later and, with a team which spent millions in accommodation and air fares, managed to accomplish absolutely nothing in the near-decade that followed. Blair appeared indifferent to the massive suffering of the Palestinians – he was clearly impotent in preventing it – and spent much of his time away from the tragedy of the Middle East, advising the great and the good and a clutch of Muslim dictators, and telling the world – to Israel’s satisfaction – of the dangers represented by Iran. The more prescient he thought he was, the more irrelevant he became in the eyes of the region he was sent to protect. A Blair supporter once defended him on Channel 4 by recalling how he had travelled to the Middle East almost 100 times – without realising the essential irony: that Blair abandoned the region almost 100 times for more rewarding destinations. Blair was supposed to produce more than the easy panaceas that slipped from his lips, the most outrageous of which was his contention that resolving the Israeli-Palestinian conflict could be easier than ending the Northern Ireland crisis. But the Palestinians have much more in common with the Irish Catholics cleansed from their lands by the Protestant planters of the 17th century than with the pitiful historical battle in the province, whose resolution proved to be Blair’s only lasting accomplishment. If only he had resigned more than two years ago, after Palestinian leaders had themselves characterised his job as "useless, useless, useless." Israel, of course, would never have described him as this. Stoutly condemning the campaign for Israel’s "delegitimisation," Blair talked about this as a form of bias which was "an affront to humanity" – a choice of words he never used about the massive civilian casualties inflicted by Israel on the Palestinians of Gaza. The Arabs will now wait to see if the Quartet will repeat its folly by appointing an even more unsuitable candidate – a truly difficult task – although many in the region think the whole panjandrum must be abandoned. Eight years ago, there just might have been the slimmest chance of bringing a Palestinian state into being. Today there is none. And doesn't that say it all? Good riddance Tony Blair.